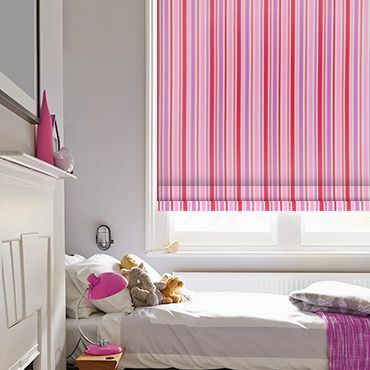 You won’t just like your blinds when you select one of our striped designs, you’ll absolutely love them. Browse a range of styles and colours today. Our collection includes everything from subtle stripes in the palest of hues, to bold and beautiful designs that’ll create a talking point in your home. And if you’re looking for something a little more unusual, we’ve even got a range of abstract stripes, linear chevrons and dash prints too. Of course, the type of stripe you plump for can make a huge difference to the overall look and feel of your room. A narrow, structured stripe will create a formal feel that’s perfect for dining rooms, whereas a wide or wavy stripe will bring a lovely relaxed feel to a space, making them ideal for bedrooms and family rooms. Our advisors will bring our entire range of striped blinds to you, so you can choose in the comfort of your home. You can see how the colours work with the rest of your décor and at your window. 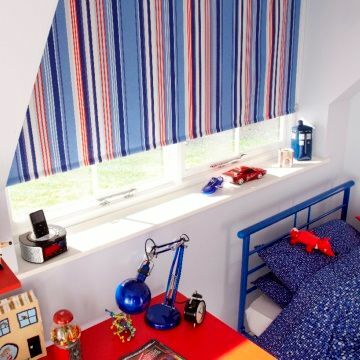 Depending on what type of blinds you go for, you can also choose to customise your striped blind with a choice of accessories. We’ll bring all the options to you and offer expert advice, if you need it. 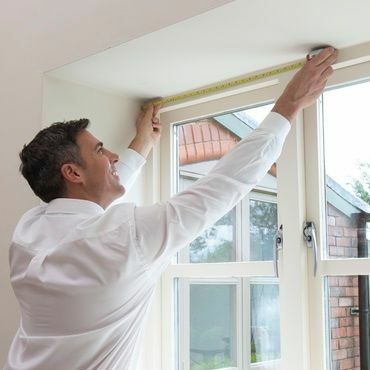 You won’t need to worry about any measuring or fitting when you choose a striped blind from Hillarys as we’ll take care of it all. And what’s more, we’re happy to guarantee all our striped blinds, so you can have complete peace of mind when selecting your favourite design.